If you like to publish your articles on this site, I would be happy to accept guest post related to Bulk SMS, Voice SMS, Transactional SMS, Promotional SMS, Missed call alert service, IVR Services, Social media marketing, Digital Marketing, and Business Strategies. Once, I receive your article, I will reply you ASAP. Be sure to read the terms below, before you submit a guest post. – The Article content must be original. Duplicate content won’t be accepted. – The article must be in English and should be 600+ words. – You need to submit 1 featured image for the blog post and at least 1 image to be used within the article. If you have taken the images from some other website, then please do mention the image source. – You can link your website and social profile in Author bio section. – No promotional or affiliate links on this blog. – Structure your blog into paragraphs with headings and sub-titles. – To get more exposure, share the post on your social media networks once it’s published. – For our audience, we reserve the right to make necessary changes to the guest post. 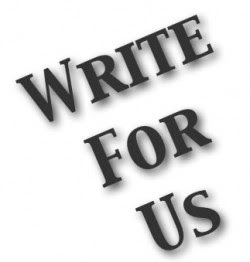 In 2 – 3 days we will get back to you and you will be informed if your article is fit for our blog or not. If yes then we will inform you the date when it will be published. If No, then we shall tell you the modifications you need to do and then you can re-submit the article for reviewing.